If you haven’t checked out Food Network there are heaps of great shows on to watch with the kids. 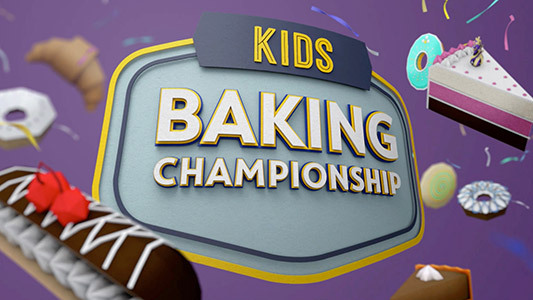 For children who enjoy baking, there’s the Kids Baking Championships which we have loved watching over the past couple of weeks of school holidays. This program follows 12 young bakers, aged 9-12, through various challenges that test their baking skills and creativity. 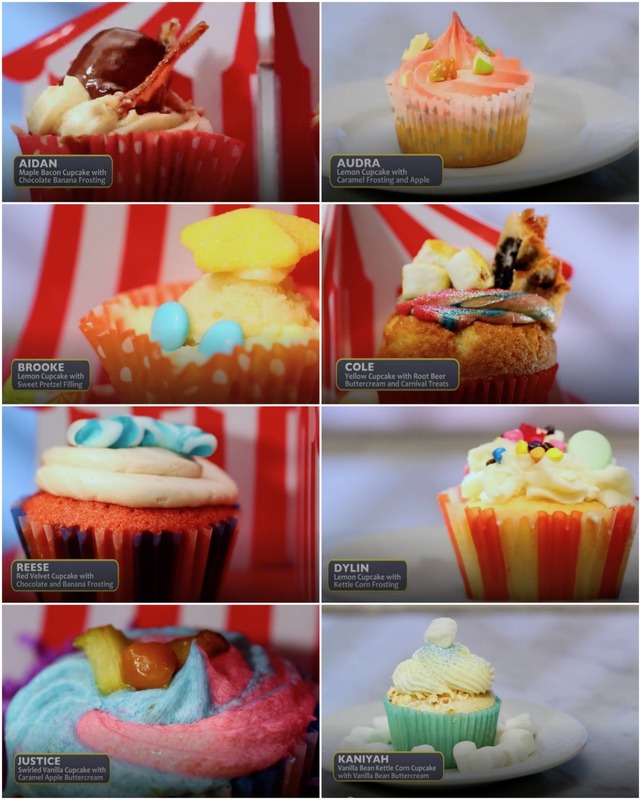 Each episode has a themed baking challenge including, carnival-themed cupcakes, erupting volcano cakes and dessert imposters of comfort foods like meatloaf and fried chicken. Contestants are eliminated weekly until the final three undertake a superhero-themed finale that determines the winner to takes the title of Kids Baking Champion. What’s appealing about the show is how fun it is for kids, especially in the 9-12 tween range. For example, the carnival-themed cupcakes in the first episode of season three ARE things kids would make. The show is realistic, so my children can imagine themselves doing the same. 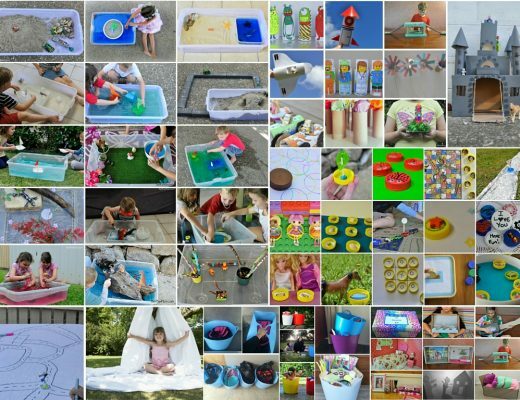 There are epic failures, winning combinations and the experimenting kids enjoy so much. My daughter LOVES baking but there is one thing that she hasn’t been able to get right yet…and that’s the French macaron. She decided to give it another go using this recipe. AND IT WORKED! She was stoked! Macarons are actually really simple to make with only minimal ingredients. 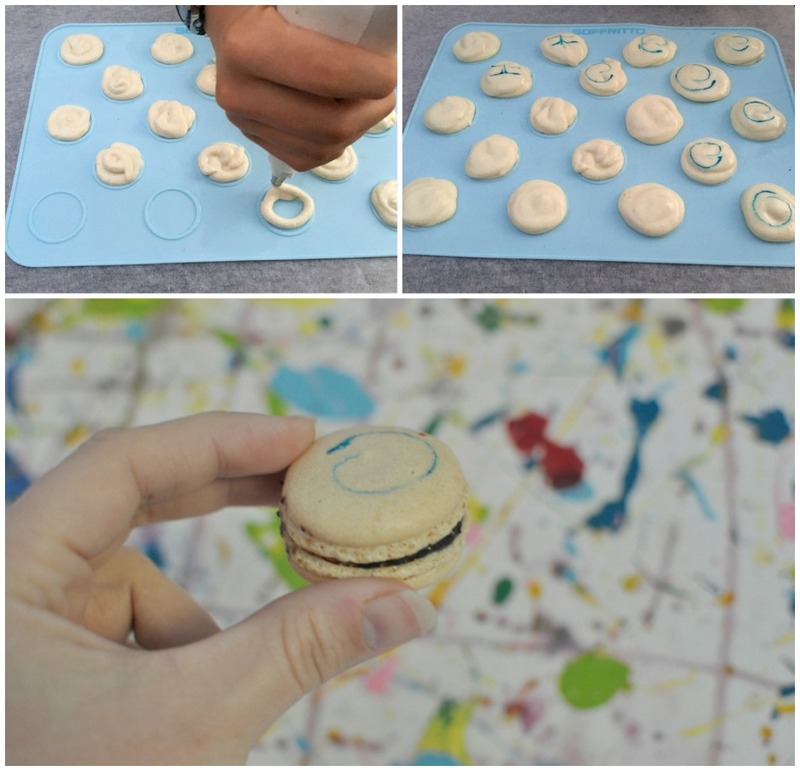 Making macarons with a specific silicone mat is a good idea. I found the mat my daughter used at Robins Kitchen. 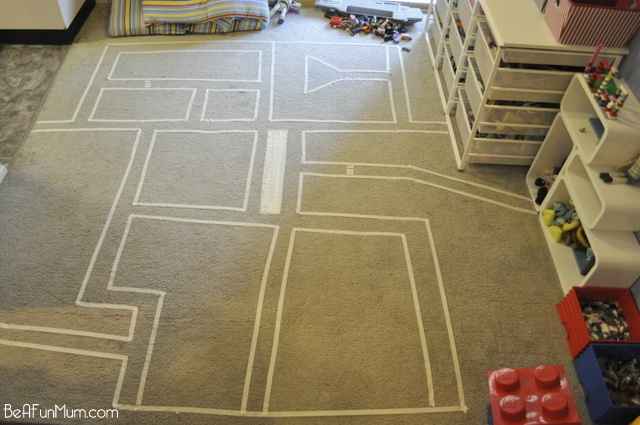 The mat makes it easy to get the size right, plus there is no need to grease it. Just pipe the mixture on (my daughter added a swirl of colour or you can colour the mixture), allow to sit for an hour and a half before baking for about 15 minutes. They cool quickly so the last step of filling doesn’t have to wait long. Macarons are such a crowd pleaser, and now someone in the family has mastered them. That’s good for everyone! Below is a little video showing my daughter using the macaron mat. 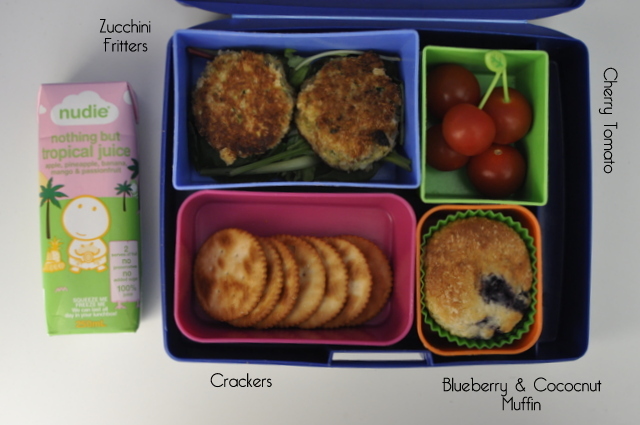 If you have kids who want to try some baking, but you (as the parent) want to keep things simple, below are two easy and fun recipes to try. 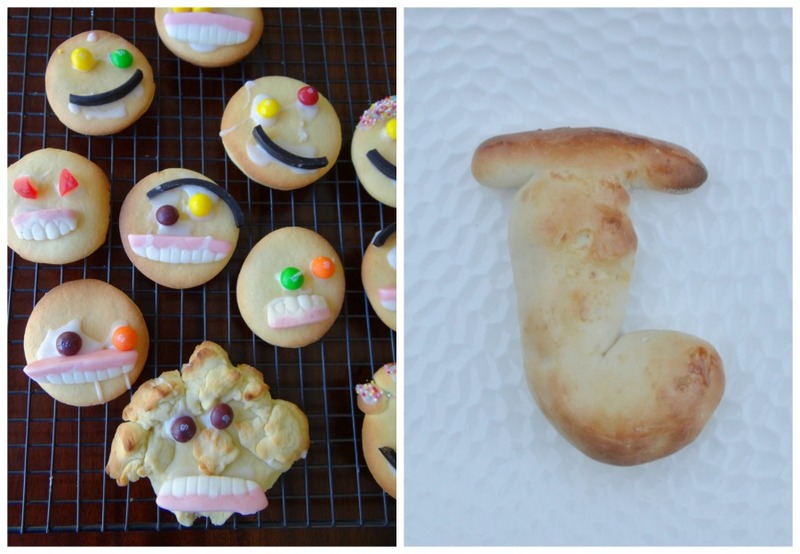 Sweet: Funny face biscuits. Recipe here. Savoury: Bread roll shapes. Details here. Tween kids who love baking are sure to enjoy the show, and don’t be surprised if they are inspired to learn to bake themselves. Kids Baking Championship last episode is today at 4.30pm on Food Network, free-to-air Channel 33 and you can catch up on the full season now via the Food Network.